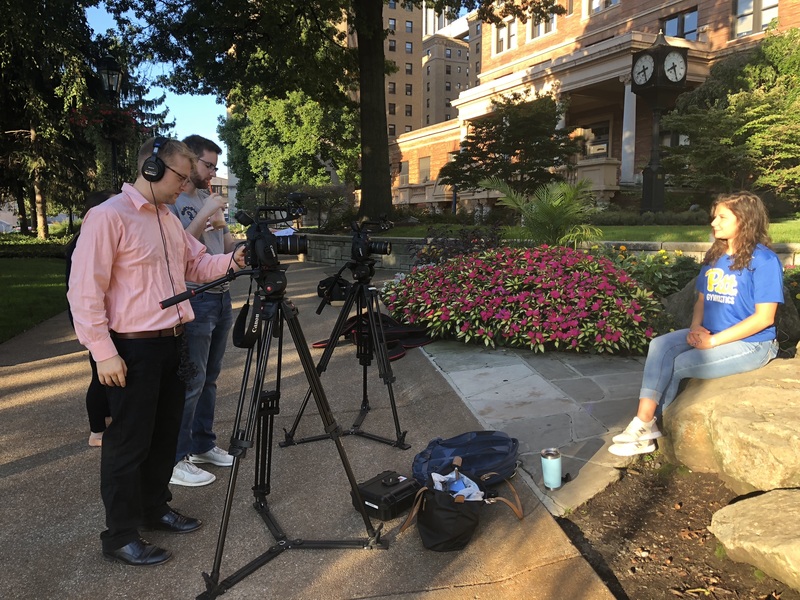 A recipient of a 2018 Personalized Education grant, UPTV is working with the Office of the Provost and the Pitt Commons student interns to produce a promotional video and series of "how-to" instructional videos for the new Pitt Commons platform. 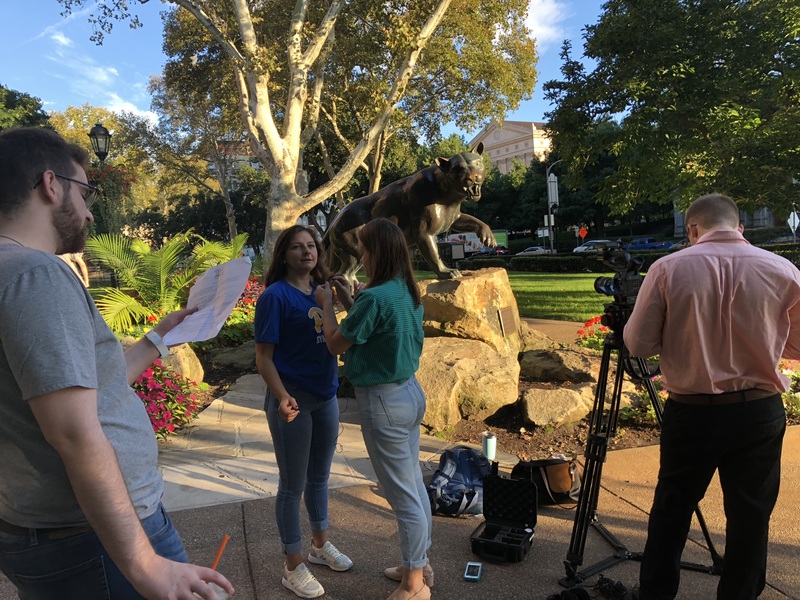 UPTV is a student organization comprised of UPTV, Pitt Tonight, and Pitt in Hollywood that produces digital content at the University of Pittsburgh. Pitt Commons is an online hub for mentoring and networking for Pitt students, alumni, faculty, and staff. 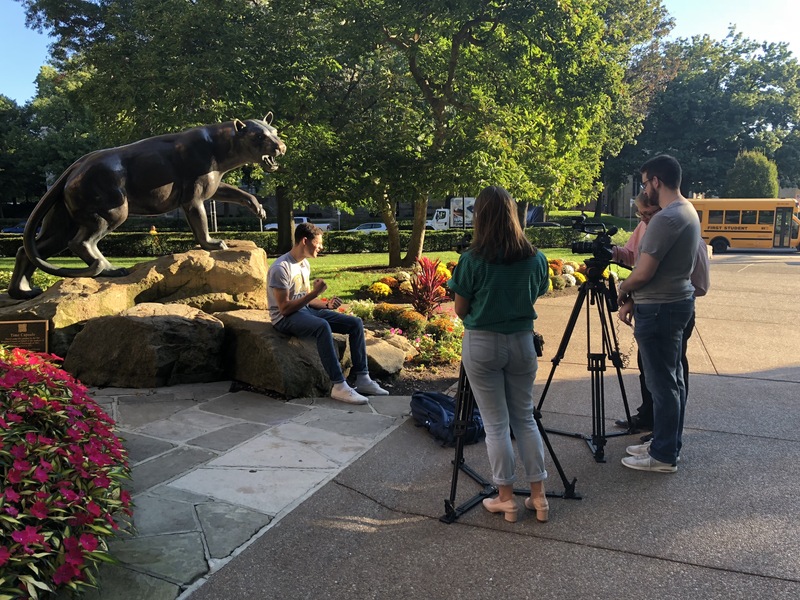 UPTV station leaders Sam McCoy and Jake Savitz work with Pitt Commons interns Catie Conrad, Jacob Margasak, and Jon Shaiken on the production of the forthcoming Pitt Commons promotional video.